Besides Mexico’s friendly action to prepare for the World Cup, there have been a few significant offseason moves. In this roundup, there could be three new Europeos, Xolos have a TV home, and the Apertura 2018 Draft has a date. Plus, we look at the best of the Liga MX and Ascenso MX moves, and other Legionarios who could be on the move. With the arrival of Antonio Mohamed as the manager of RC Celta de Vigo, two of his Mexican stars could be on the move to join him. According to Faro de Vigo, Mohamed recommended both central defender Cesar Montes and midfielder Jonathan Gonzalez to the board to be able to sign as two of five new reinforcements for the club. 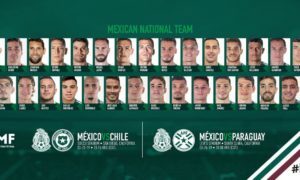 Both players are presently with Mexico’s under-21 team that’s presently playing at the Toulon Tournament, where they have helped El Tri‘s U-21 selection at the tournament qualify for the tournament’s knockout phase. Montes, 20, is locked into a contract until 2020, and Jonathan Gonzalez, 18, only made his first team debut in 2017-18. A final determination on whether the signing of either Montes or Gonzalez will occur during the summer 2018 transfer window will depend on when new Monterrey manager Diego Alonso finalizes his Apertura 2018 squad, according to a report in Multimedios. Even with the approval of a transfer by Diego Alonso, Celta Vigo still have to withstand competition from Chivas and Ajax for Montes’ signature, which Rayados have told teams would cost $13 million USD. 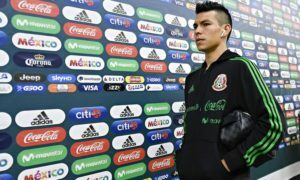 Gonzalez and Montes are not the only Mexican players likely to move abroad. 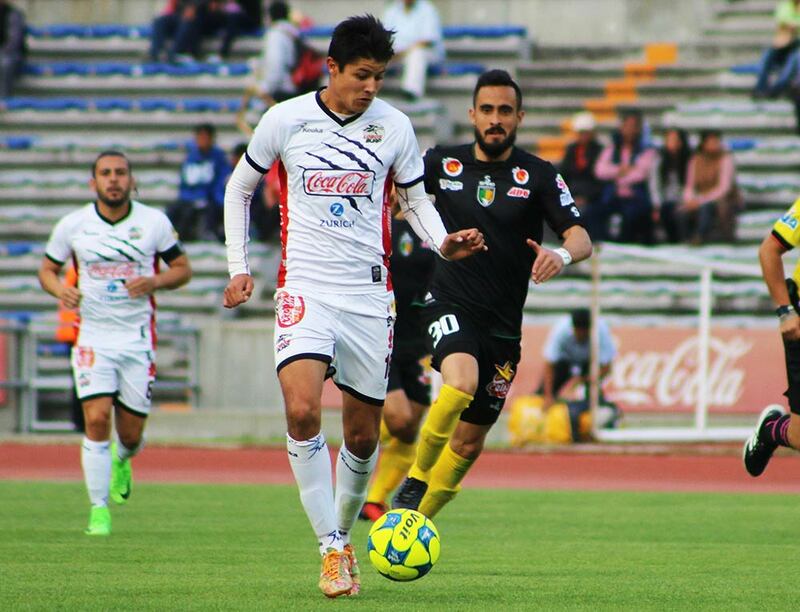 22-year-old Lobos BUAP center back Eduardo Tercero appears to be on the verge of a move to Swiss giants FC Basel. According to ESPN as transcribed by a report in BeSoccer.com, negotiations are set to begin around 29 May for the defender’s signature. Tercero had spent several years in Atletico Madrid’s youth ranks before returning to Mexico with Lobos BUAP and leading them (and himself) to their first-ever promotion to Liga MX. Xolos to air home games on Fox Sports in English and Spanish starting in Apertura 2018, Monterrey and Santos Laguna soon to follow. Today, according to a report by Christopher Harris of World Soccer Talk, Fox Sports announced its acquisition of Club Tijuana’s U.S. television rights starting with Apertura 2018 season. Fox Sports plans to air every Xolos home league game it has in both English on its Fox Sports channels and in Spanish on Fox Deportes. Fox Sports will become the first network to show games in English full-time since ESPN did so in 2013-14 in a partnership with Azteca America, and second attempt by a Fox entity to broadcast Liga MX games in English in the 21st century,with Fox Soccer Channel briefly showing Liga MX home games of Tecos UAG, Santos Laguna, Cruz Azul, and Pachuca in English during the Apertura 2007 tournament. Xolos will not be the only Liga MX team whose US TV rights will fully be under Fox Sports’ umbrella. Fox has also announced that Monterrey will join Tijuana under the Fox Sports/Deports TV umbrella for Apertura 2018, with Santos Laguna’s broadcasts joining the Fox Sports / Deportes family ahead of Apertura 2019. For Liga MX viewers in Europe, Chile, Peru, Africa, and Asia who use Fanatiz to access Liga MX games, it remains to be seen as to how the U.S. TV moves could affect the viewers’ abilities to view their team’s games. The Liga MX and Ascenso MX Transfer Drafts will take place on June 4-7. On May 31, Liga MX president Enrique Bonilla confirmed that the Liga MX and Ascenso MX transfer drafts will take place on June 4 through June 7 in Cancun. The draft comes with some caveats that AMF Pro wanted to see addressed. 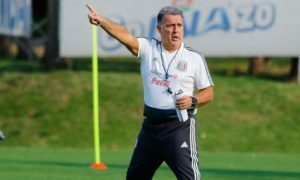 First, teams like Chivas who had not paid their debts to players and technical staff cannot make reinforcements until all their outstanding debts to current and past players have been paid off. If the teams do not pay the debts by the day and time of the draft, they can only sell players in that window. Teams could still negotiate with players and move in the direction of signing players, but they could not complete their transaction until receipts of their outstanding debts being paid to players and technical staff are paid in full and delivered. Puebla was able to reveal the signings it made during the draft shortly after the club confirmed all its debt payments had been made (and delivered). If a player who has been transfer-listed is not signed within the draft period by a Liga MX or Ascenso MX side, they are free to find another team in Liga MX, but only for fourteen days after the draft. 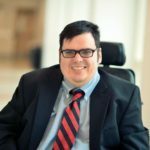 There is no mechanism right now for a player to be automatically released from a contract if he is not picked up by another team during the draft and he’s out of contract. It’s not just ‘Pelado’. Five other Liga MX teams have already changed managers. Although Matias Almeyda’s departure from Chivas captured the recent headlines, there are still other managerial changes. Although Loros UDC have yet to fully be approved to take part in Ascenso MX for 2018-19, one part of the puzzle is already in place. Confirming Murcielagos FC’s inability to pay their outstanding debts and last place penalty, the side from Los Mochis were officially relegated to Serie A of Liga Premier FMF (Mexico’s third division). Barring a sudden last decision, this finalization of Murcielagos’ relegation after three years in Ascenso MX, should imply there may be a replacement team for the 2018-19 season. Teams in Mexico can officially make and report player signings before the transfer draft. Cruz Azul, and Leon appear to be early big spenders while Necaxa and Monterrey exchanged goalkeepers on loan swaps. Details of the natures of the moves would not be reported here beyond loans or buys. But here they are.